With the Nindies Showcase arriving this week (later today, to be exact), what better way to celebrate than some much-needed discounts? Across the European Switch, Wii U and 3DS eShops over 140 titles that have had their prices slashed - including some of the biggest titles to feature on all three platforms. Here are some highlights. 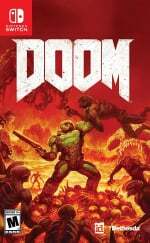 DOOM, The Elder Scrolls V: Skyrim and ARMS can be yours for €39.99 each (they were €59.99 a piece); L.A. Noire is now €37.49 (was €49.99); Rocket League has come down to €14.99 (previously €19.99) and FIFA 18 has been slashed from €59.99 to just €29.99. Now that's some serious savings. Elsewhere in 3DS land, the trifecta of Monster Hunter Stories, Monster Hunter 4 Ultimate and Monster Hunter Generations are €23.99, €22.49 and €22.49 respectively. Even the classic, 3D-rejigged The Legend of Zelda: Ocarina of Time 3D is now €11.99. We'll probably have sales like these soon enough, although the price drops could be debated as sales; could be better. Finally.. Doom, ye shall be mine! Not going to tell us the WiiU discounts then? Zelda seemed initially misleading since BotW wasn't on discount, but then I realized it was for OoT 3D. Regardless I'd be interested in a US sale now. 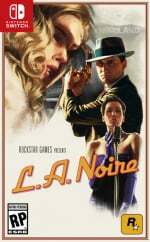 Anyone in the UK who wants LA Noire, check out Tesco as they're selling it for £28. I was tempted by Doom but I rather pay the extra 6 quid for physical although I'm still kinda put off as its a tenner new on other platforms! So most likely I'll wait until then. Thats really my only problem with these ports, the price and yeah its nice to have portability but for me not really worth paying an extra £30-40 for that luxuary! @Robotron2084 Hate to say this but even if you go physical you still have to dl about 10 gigs in patches. Either way it's a big file. After all the updates, enhancements and additions...i'm ready to finally buy ARMS after I try the demo on March 31st! Already own all of them except Skyrim. If only it was 30€, 40€ for digital is still much imo. Fifa for 30€ is mouth watering! I was going to get I am Setsuna before the sale ends Thursday but I may pick up rocket league also (and maybe arms too). @Spoony_Tech Doom is only a big update for multiplayer though right? @chardir There was also an update to allow gyro controls. @chardir Yep but you're kind of forced to download it. The only way around it is to put your Switch in airport mode everytime you start the game. Even then though, you won't have the recent patches which fixed the audio bug, improved the graphics and added motion controls. They really should have given us the option to download multiplayer and added the patches separately. Don't let that put you off though as apart from that, the game is sublime,especially now with the added motion controls. Very tempted to buy Skyrim but I've only got 4gb left on my 128gb card. I've got another 32gb one but I was going to move my rarely played or completed indie games there to free up 32gb on my big card. Doom and Skyrim are the only 2 i don't have. And I'm not interested in them right now. Nice discounts though. Rocket League at 14.99 is a steal. Great game and great one to always have ready to go (digitally). 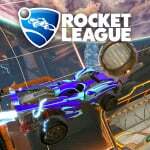 Might finally take the plunge with Rocket League. I think my wallet won't survive this time. Why don't you write the full list or link to it? Hopefully we get a sale pretty soon over in North America. I know it'll take a while for it to happen, but I'd love to see a Kirby Star Allies price drop. $79.99 CDN is just a little too much to ask for a game that, even though it's been receiving great reviews, it's still a short game. $69.99 would have been a bit more palatable as a launch price but not $79.99. And even then I think I'd still wait on this game to receive a bit deeper of a discount. @belmont I think the reason for this is that the full list hasn't been released by Nintendo yet. Oh boy, I'm on the verge of getting my own Switch finally, and the first game I intended to get was DOOM, this is perfect. @SilentHunter382 If this is indeed the case ignore my comment. ARMS... Just don't know... But digital is surely the way to go if I do bite. Might have to give the trial weekend a go. Hasn't Rocket League been cheaper previously? @IceEarthGuard: I prefer physical, too. The sales are nice, though, for those who want them. @chardir Unfortunately it's the patches that improve performance too. They've coupled the patches and multiplayer together as one DL. Which contry are those sales? Hope this for Canada(US eshop). What's the deal with ARMS anyways? It's the only AAA 1st-party Nintendo Switch games, that - as far as I can tell - ever got a digital discount. It kinda, I dunno, almost cheapens the game imho Oo It's probably due to the limited sales of the game, compared to e.g. BotW, but still ... it's odd to not even see Mario Kart DX discounted, but ARMS. Might pick MH Stories, afterall played a lot MH3U not so much other MH games but this i have heard of that is better to my liking (turn-based). If you don't have ARMS, I highly recommend its enticing, dance-like brain games disguised as people punching each other! The characters, music, and level design are all excellent as well. This is also probably why there's gonna be a 3rd testpunch, as compared to Splatoon 2 only having one (two if you count the global splatfest demo). I don't think it cheapens the game, all games go on sale eventually but that doesn't mean they're bad. I also think it helps make it more financially accessible. Hope there'll be some discounted indies, like Cave Story or Human Ressource Machine ! Anyways, that is what I was getting at actually. 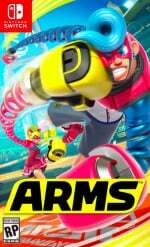 It feels like ARMS is the odd one out, the only onethe gets discounted, like ... I dunno, it does not belong with the grown-ups like MK, Mario, Zelda or even Xenoblade for that matter or like it's some kind of welfare case or something. So yeah, like I said, it's most certainly about the game not selling as well as others at it's standard price tag, and that does not really reflect on it's quality neither. @MH4 I played ARMS in a testpunch once but couldn't get into it. Was using motion controls though, is it better using a pro controller? Usually I would want a physical copy of ARMS but as it's only approx 2.2gb file size it might be better to get the digital version so I don't have to switch out the cartridge. 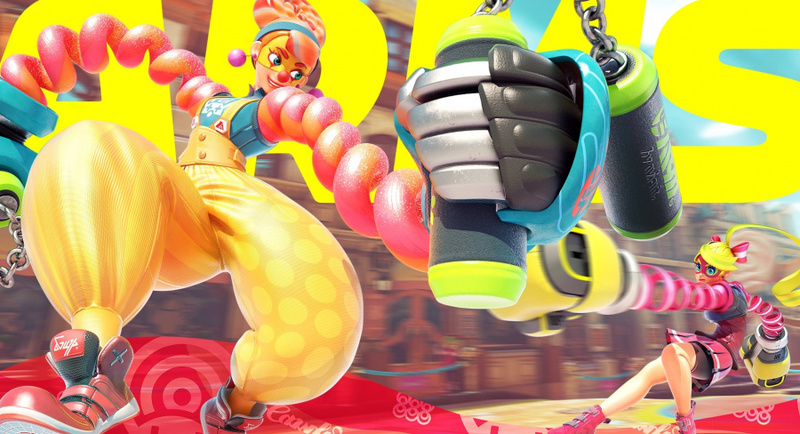 Like Splatoon 2, ARMS is the sort of game I would dip in and out of. @wazlon Oh my gosh dude, button controls are so much better. Can't play with motion at all tbh. This may sound weird but I prefer using the Joy-Con grip over the pro controller for ARMS. Can you guys please put in the full list? Or at least a link to the full list! Just good practice! Kudos to EA for nice discounts. 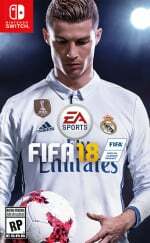 Fifa 18 for 30 euro, thats fair price. Nintendo should take some lessons from EA (on this). Need US sale badly. Only buy digital on my Switch so I usually horde eShop cards until I see a big sale. Need to add some games to my library. The list is not out yet. I'm pretty sure they'll put it up as soon as it is. 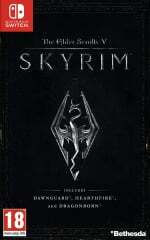 I like the skyrim price. So wat I'll buy the European version then? Hmm. "Roll up, roll up! Come and grab your bargains! Big eShop sale! Get 'em while they're hot!" Awesome,so now Doom costs the same as retail in the U.K,but with no box or cart....plus takes up extra space on your micro SD card. "Head on over to each eShop to find more bargains." Except we can't, because the sale hasn't started yet. @shani Should I have used presented tense then? Not buying AA-games digitally. Give me a retail discount and I am in. Will South Africa benefit from this sale? How long will this sale last for? Well, unless its going to be much later in the day it looks like NA gets screwed again. Same Indie games for the last 3 weeks now give or take a few.